←Newsflash: PROJECT NATALIE is Underway! This entry was posted on Wednesday, December 5th, 2012 at 4:45 PM and is filed under AHC Home. You can follow any responses to this entry through the RSS 2.0 feed. Both comments and pings are currently closed. There is something about Haleluia, I just cant sing that word without a smile on my face. Try it, I mean really sing it, don’t just say it, sing it. Thank you Jason, for giving me a smile. Aloha, Jane! Yes… I know what you mean! And the new lyrics that Kuana has composed are beautiful. The Cohen song has always given me goosebumps. And now, to have this version, too–wow! Thanks, Jane, for the smile! OMG! Hallelujah! 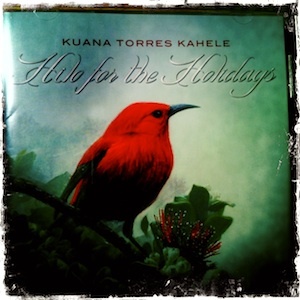 “Haleluia is a GOD SEND!” Tomorrow is Resurection Sunday, Please may I have the Lyrics to it, so that I may share this BEAUTIFULLY done reversion by you Kuana Torres. We do Hula praise and worship here in Texas. Our first praise ever done wa “I Call Him Lord”, and we had spoken before, years ago, (I am Willy Moku’s Sister) but I was not able to send for you and your band Napalapalai. It was just not God’s time yet to have you come I believe. BUT, I know in Gods’ time you WILL come. But in the meantime, please can I have the lyrics to “Haleluia” to Share the Aloha for KE Akua tomorrow. I will try to find it and fb message you today. I am SOO moved y this Melody, and Words I can imagine some of the translation but would like to do it CORRECTLY and COMPLETELY…only Ke Akua KNEW who to give this Praise too, and that was YOU! Bless and Be Blessed, your Anointing is TRULY in your Music for Christ. Aloha mai e Linda! I’m sorry that I don’t know how to get this to Kuana. I see that he’s on FB a lot… that may be your best bet. I love the song, too. He does such an incredible job! I hope you had a great Easter Sunday.